The Council of Canadians, which leads the Canadian campaign against the TPP and other reckless trade agreements, is concerned that the “essence and mandate” of both the CBC and Canada Post “are being traded away in favour of private corporate profit” under the TPP. 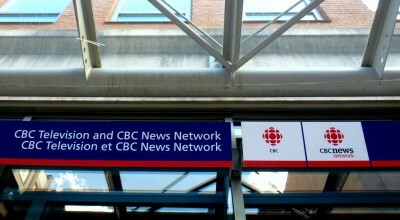 Friends of Canadian Broadcasting says Harper’s “hidden agenda to damage public broadcasting” started in November, 2007, when he appointed Hubert Lacroix, a Montreal lawyer and Conservative Party supporter, as the President and CEO of the CBC. In 2014, Lacroix announced that the CBC would lay off between 1,000 and 1,500 employees by 2020. He also announced plans to shut down key in-house production of popular feature documentaries. Professor Jane Kelsey of the University of Auckland, who analyzed the leaked TPP document, found that the rules being pursued under the TPP “go beyond anything in the World Trade Organization (WTO) and Free Trade Agreements (FTAs).” She suggested that the document set out a number of obligations, including the requirement by state-owned enterprises to act on the basis of “commercial considerations”, while abandoning their role of providing the public good. Kelsey may as well have been referring to Canada in general and Canada Post in particular. The Crown Corporation is on the fast-track to privatization through its ongoing five-year “restructuring plan”, which has already resulted in job cuts, higher mail prices, and the phasing out of home delivery in numerous communities around the country. The draconian restructuring exercise will rob 1.17 million Canadian households of door-to-door delivery in 2015, according to the CBC News. A memo obtained by Blackblock’s Reporter through an access to information request last year reveals that Harper commissioned a confidential study into the privatization of Canada Post. With the 2015 federal election around the corner, Canadians may as well consider voting to save the CBC and Canada Post. Special Appeal: Please help The Canadian Progressive publish more stories like this. We recently launched this GoFundMe Fund-raising Initiative. If we reach our modest goal, we’ll be able to shine more light on Harper’s assault on our democracy, and improve the overall quality of our independent journalism. Please visit our GoFundMe fundraising page and make a donation today. Thank you!